This beautiful community is located just less than twelve miles from the center of the Kissimmee area. Over the past decade the Central Florida area has seen a massive expansion, and small communities have been built to support the sudden growth. This prestigious community happens to be one of them, and its incredible location and maintenance upkeep have made it one of the most talked about new neighborhoods in the area. With Kissimmee’s economic boom people from all over are moving into the area, and finding a house at a great cost has never been harder. Lucky for you we have all the information you need to decide if the Bellalago Subdivision is a viable choice to live for you and or your family. 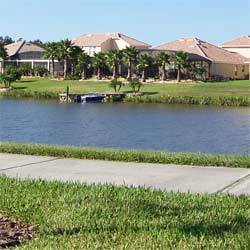 As stated above Bellalago is located just under twelve miles from the center of Kissimmee. This means you are just ten minutes away from everything you could possibly need. With a Home Depot, Wal-Mart and a variety of grocery stores just a short distance away you can rest assured all your amenities are within distance. Kissimmee is split in half by U.S. 192, from U.S. 192 you have access to just about anywhere in Central Florida. This is an extreme convenience, allowing you to make the most out of your visit or permanent residence. 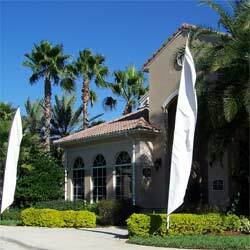 If you plan on moving to the area or are just looking for a vacation home you probably already know that the Central Florida area is abundant with attractions and entertainment. The Orlando area which is located just north of Kissimmee was proclaimed the “Number one destination for vacations in the world.” This is primarily because in 1965 Walt Disney announced the opening of his dream theme parks. Now just twenty minutes from Bellalago you can visit these great theme parks. Inside the Walt Disney World Resort you can find Magic Kingdom, Animal Kingdom, Epcot and Hollywood Studios, as well as two water parks the Typhoon Lagoon and Blizzard Beach. Just a short distance further you can find Universal Studios and Islands of Adventure, joined together by the popular City Walk! Another one of Orlando’s popular parks is Sea World, where the oceans best perform for you live! Or go to Sea Worlds sister park Discovery Cove and swim with dolphins! Much of Kissimmee and Orlando is filled with smaller attractions; one of the most popular for Kissimmee is Old Town. Here you can find a wide variety of small shopping centers offering arts and unique souvenirs that are always entertaining to browse through. Other places include Gatorland, an awesome park where you get the chance to feed hundreds of gators. If you are looking for a more natural way of visiting Florida’s wildlife you can take an air boat tour on Lake Tohopekaliga. The large community of Bellalago has a wide variety of amenities to offer. One of the most important is its location on Lake Tohopekaliga. 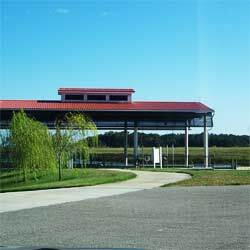 Lake Tohopekaliga or “Toho” for short is the “Freshwater Fishing Capital of Florida.” Unlike many of the other communities in the area Bellalago has access to the water all year round; in fact you will find canals and ponds all around that connect to the lake. In the back of the neighborhood you can find a large dock and boat ramp, perfect for anyone who loves the water. For those of you that are more comfortable on land Bellalago has large park locations. With beautiful paths and oak tree covered trails these are a great place to relax or even exercise. If you have kids they will love the open air and available play space. Another great amenity of Bellalago is the two large Club Houses that can be found in the neighborhood. With two large heated pools these club houses offer you a great place to cool off during a hot day. Inside the clubhouses you can find well equipped fitness centers, saving you time and money every morning. In the front of the neighborhood you will come across Bellalago Academy. This massive structure is equipped with softball fields, tennis courts, a gym and even a running track. For ages K-8th students living at Bellalago this great school is every parents dream. Knowing your kid can safely walk to school and that you are right nearby if anything was to happen is a commodity few have. Bellalago school has won awards for its education and plans to continue their impressive record. This community is scheduled to continue expanding, and these beautiful and large homes are jaw dropping almost every time you enter. 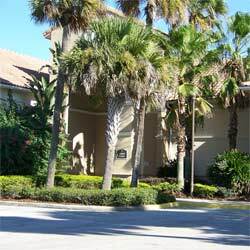 The gated community with 24/7 security is a great place to live in Central Florida!